Finally we were on our way to Africa! 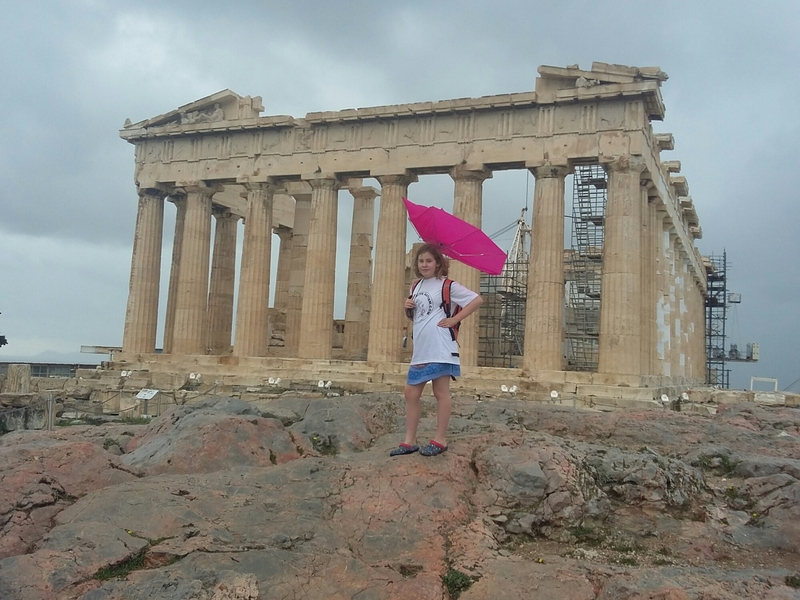 Happy to be leaving European winter as the weather in Athens started to deteriorate. I was very excited and very terrified all in a bundle mixed up in my stomach. Sofia was more focused on the immediate event of flying in an airplane – she hasn’t been on one since she was 3yrs old. We checked in early, got charged an arm and a leg for being overweight (all tools etc weren’t allowed to go with the bike) and finally, half asleep, we found ourselves boarding the plane. The motorbike checked in for its journey by boat. Sofia didn’t want the window seat to begin with but after a while – she forgot her fear and as we landed in Cairo, the bet was on as to who could spot a pyramid first. Neither of us did, but it became the game until we finally saw them. 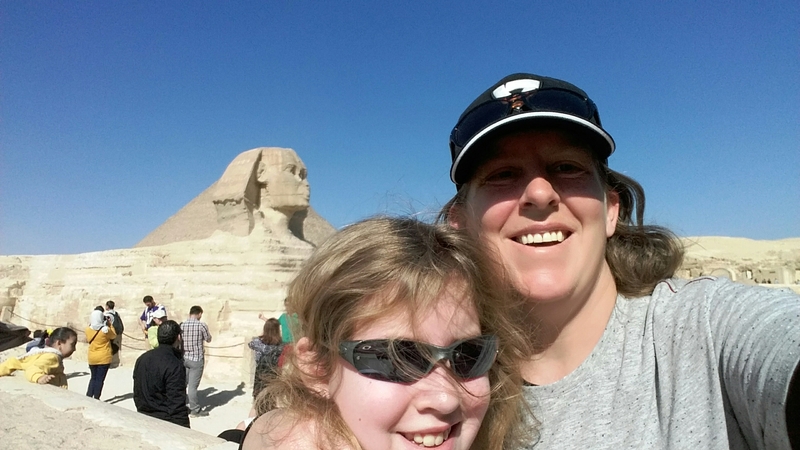 The first to spot the sphinx got bonus points. 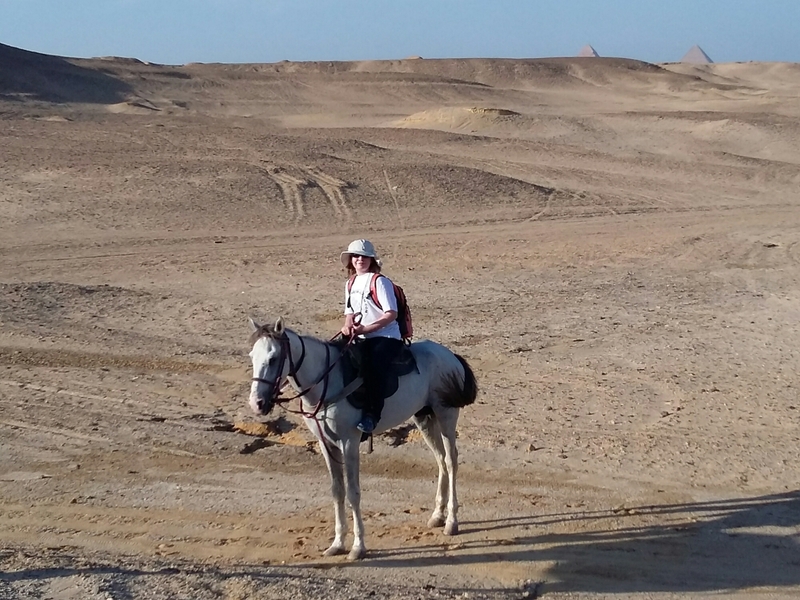 We arrived in Egypt at 2am in the morning and having arranged airport transfer, it was a little disoncerting for it not to be there when we arrived. Another taxi obligingly phoned the hotel and 10mins later and wheezing driver arrived. I wasn’t sure he would be able to get bags into his car boot (trunk) but despite apparent health problems he managed to sling them in. And then we were off! At about 100mph the driver sped down the motorway. Not a huge concern immediately, however as we came into town the expectation that he would slow down was sorely miss placed! Oh did I mention he was on the phone constantly as well? One near miss and I went ballistic. He laughed. At least he stopped using the phone. But I can’t say he slowed down or that I felt any safer. Finally at the hotel, we checked in and headed for some much needed sleep. 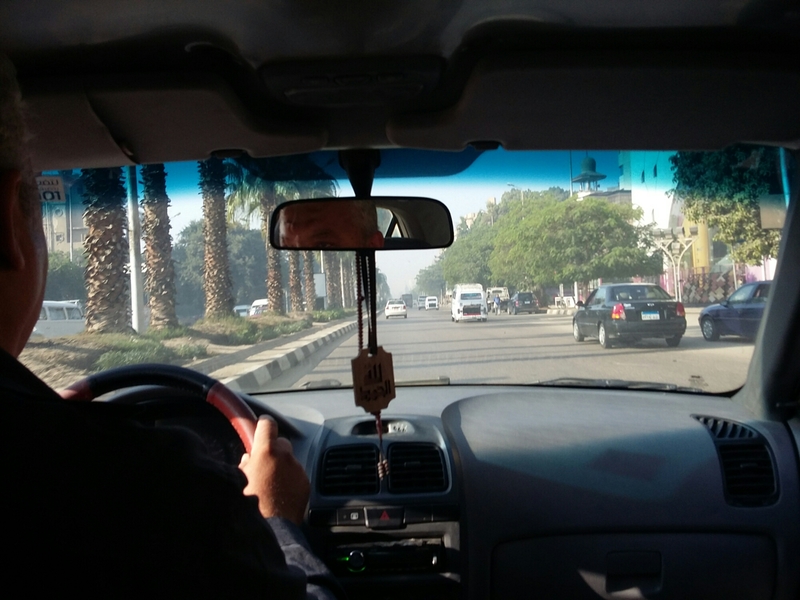 That never really came for me as all I could think about was how on earth I was going to drive on Egyptian roads! Realising I was in culture shock and in no doubt Sofia would be feeling it too with the noise of horns, general traffic, and people that was in full flow by 9am, I dragged her out onto the streets to speed up the aclimatisation process. One can always question the wisdom of mixing culture shock with lack of sleep and the results were getting back to the hotel by midday with Sofia fusing about flies and mozi bites and me feeling like a battered tourist. That afternoon I decided the sooner we out of the city and back on the road the better, culture shock or not, Cairo is not a place a tourist can ever really feel comfortable. The following day, a good night’s sleep away and the promise of pyramids saw both Sofia and I up early. Glad we had gone out the previous day as we were both much more prepared to be ‘tourists’. 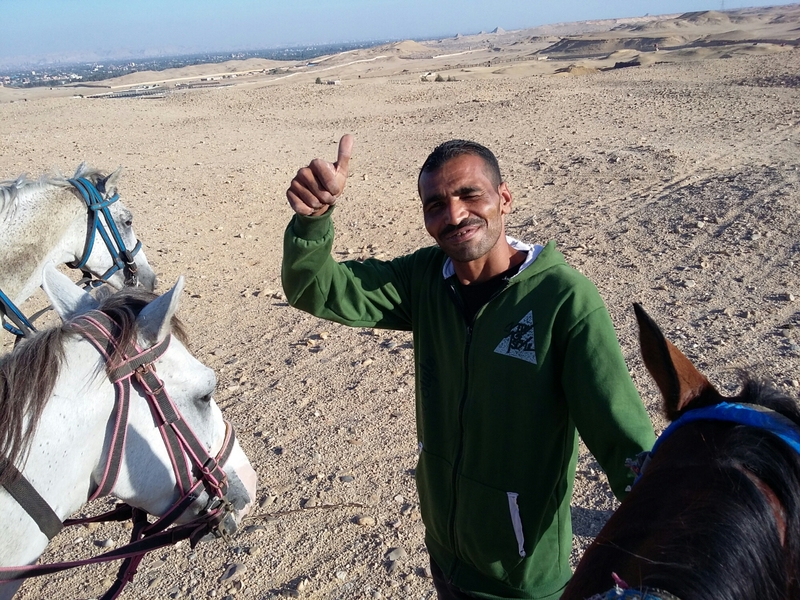 We had a wonderful day that took is not only to the pyramids and horse rides to the desert, but to the ally ways of the supporting town where we met our guide’s family, who were fantastic hosts and invited us back for a meal the following day. Both Sofia and returned to the hotel feeling full of of experiences and far more certain that we have a fantastic journey ahead of us. We have not been able to attract financial sponsors for this journey to raise awareness for autism – we rely entirely on you donations – please click the virgin money link on the left of this page and donate and share! Thankyou! 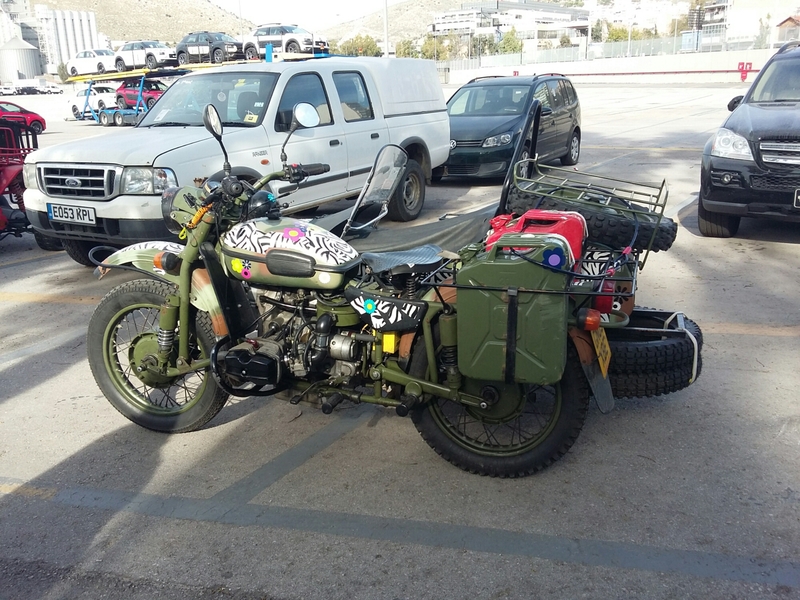 If you have time, I would like to know how you sent your URAL from Greece to Egypt ?we have ( my wife & me, 2 french ) a Ural and we come back from Mongolia and prepare the same trip that you.